Introduction: These notes were compiled while researching information pertinent to the 1Y0-A19 exam. These exam notes would normally get consigned to the recycle bin in the fullness of time, but in the hope that they may be useful to others who stumble across this blog, and to aid my recollection, they survive here. Cheers! 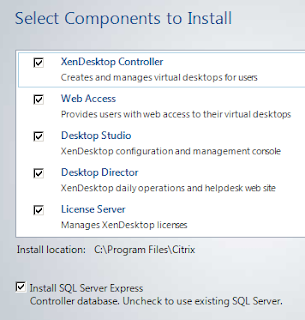 To demonstrate superior end user experience when planning a XenDesktop 5 Quick Deploy → consider first installing and configuring SQL Server 2008 R2 on the server that will run the controller. 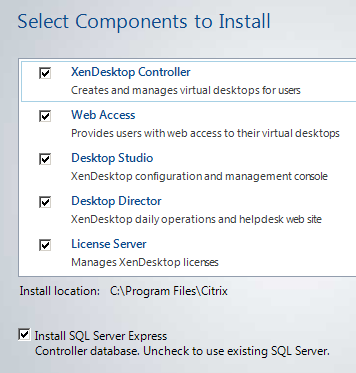 Configure XenApp Services site in order to allow users access to applications, virtual desktops and online content by clicking icons on their desktops or start menus. If the XenDesktop database goes down in a non-highly available SQL environment → existing connections to virtual desktops will continue to function until the user either logs off or disconnects from their virtual desktop; new connections cannot be established if the database server is unavailable. Use HTTPS instead of HTTP → Change the host details in Desktop Studio and replace the default SSL certificate on the host with one from a trusted certificate authority. Recommend install Microsoft Outlook on the master image locally. 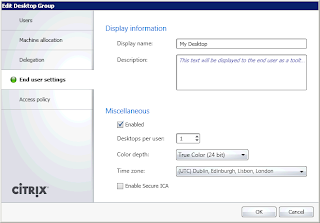 To troubleshoot an issue with DNS lookup between the Virtual Desktop Agent and the Controller, use the XDPing tool. 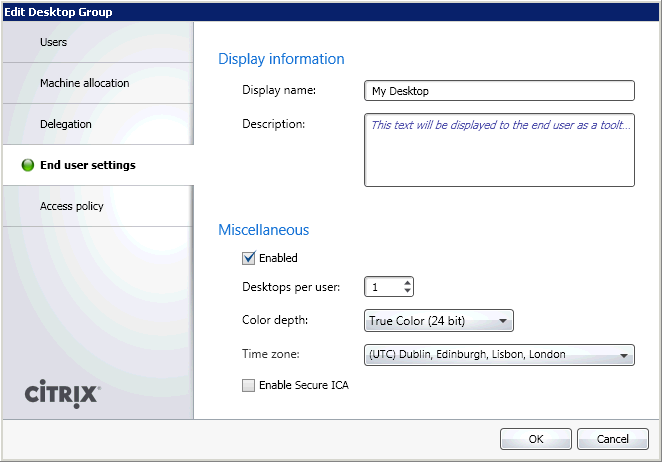 If end users CANNOT access their virtual desktops, monitor the unregistered Virtual Desktop Agent session state. These notes are very helpful for my citrix exam preparation. Thank you for the comment citrix Services. I am pleased these notes are helpful. Cheers! Thank you for the comment admin-at-trouble. 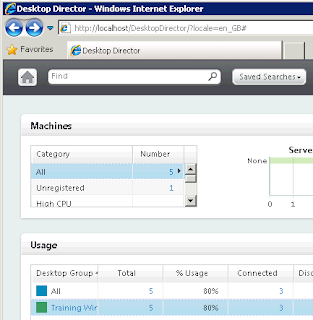 This is a very good blog and will help you to pass the citrix XD5 exam very easily. Excellent Blog, however i feel there is one question answers is not quite right. Accept my apologies, your answers are right. I was not wrong as well because in whole host is also required, but MCS within Xendesktop requires. what are your tyhoughts on the following question and the CTX article i have mentioned. I know that's expected answer as I've seen in in many places but could someone explain me how, on Earth, is VM based HA using Hypervisors SQL setup be supposed to result in less downtime than in clustered solutions? When a VM dies, for the monitoring to realise and to bring it up on another host we are talking at least 1 - 2 minutes. With clustering we are talking about 10-15 seconds. Hi Paul, you've got a good point. Would be nice to see what figures Citrix have recorded for a HA failover, and SQL cluster failover. In the meantime the following post from mssqltips explains downtime for SQL server clustering quite well for anyone who's reading. Cheers! Isn't this wrong? 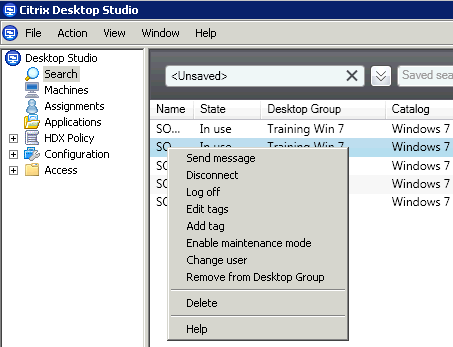 with Quick deploy wouldn't you install SQL Server Express?